To be a leader means to be able to move masses. The broad masses of a population are more amenable to the appeal of rhetoric than to any other force. The man who has no sense of history, is like a man who has no ears or eyes. Struggle is the father of all things. It is not by the principles of humanity that man lives or is able to preserve himself above the animal world, but solely by means of the most brutal struggle. If you do not fight, life will never be won. How lucky for those in power that people don't think. For there is one thing we must never forget...the majority can never replace the man. And no more than a hundred empty heads make one wise man will an heroic decision arise from a hundred cowards. 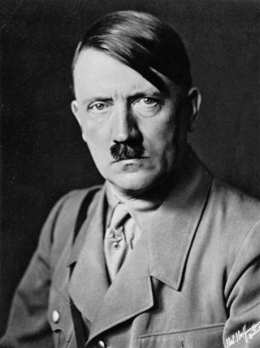 16 quotes by Adolf Hitler.